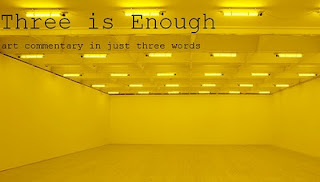 My dear friend Gabbie has been working on an art blog, Three is Enough. boiling it all down to three succinct adjectives (usually). Great source for hand-picked pieces and K-I-S-S statements.